2016 will mark my 4th year running at Disney. 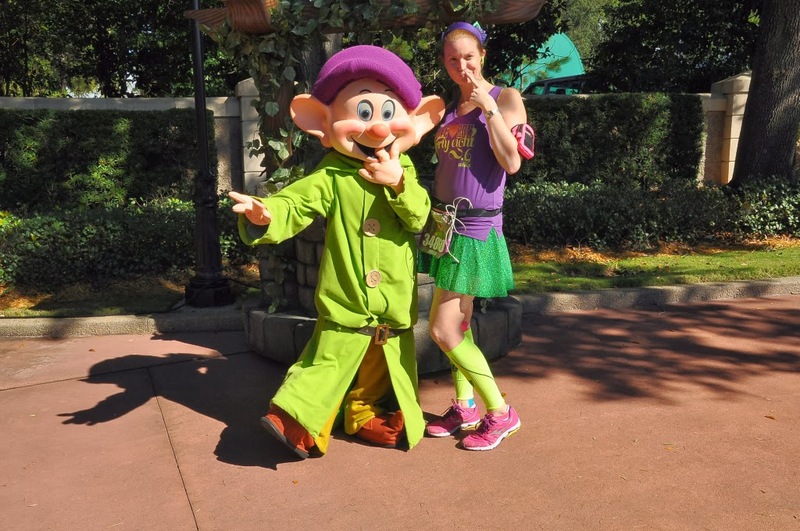 Since January 2012, I have ran every runDisney event and challenge that is offered in FL (with the exception of the Jingle Jungle 5K) and have stayed all over the city of Orlando for runDisney races, including on Disney property. While Disney property is amazing, it can tend to be pricey at the non-value resorts. When I was introduced to Hilton Bonnet Creek Marathon Weekends earlier this year, I knew this was my new home for runDisney events. 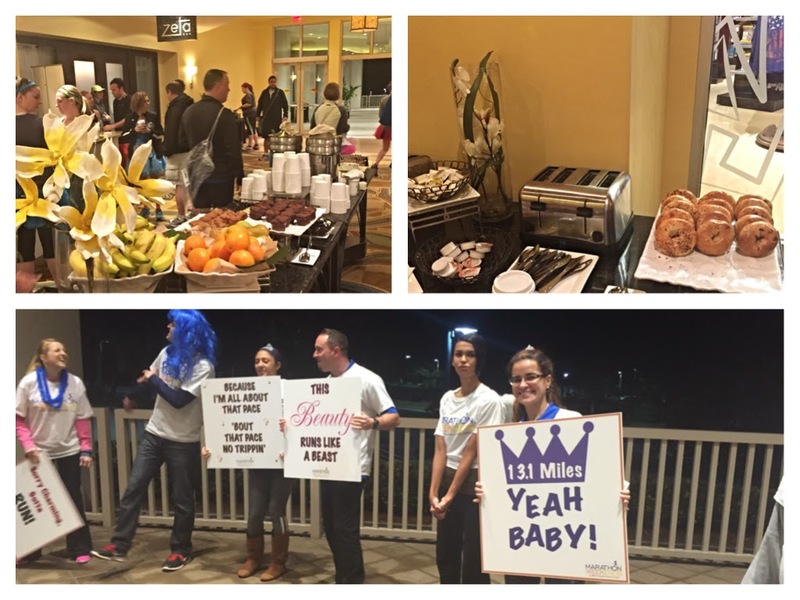 Hilton Bonnet Creek caters to runners. They offer amazing discounts, transportation to the start, complimentary runners breakfast and even cheerleaders - yes cheerleaders, at 3am. The breakfast is every runners dream - bagels with peanut butter, fruit, muffins, protein bars, juice, coffee. All of this is included with the Marathon Weekends package. With the proximity of Hilton Bonnet Creek to Epcot, it is a no-brainer to stay here. They are just as close as the Disney races, with first class amenities for less than $140 a night. Encouragement & recognition from our Marathon cheerleaders...even at 3 am! Rates are currently available for the Wine & Dine Half Marathon Weekend along with Walt Disney World Marathon Weekend. I am quite certain 2016 Princess Half Marathon Weekend will be added to this lineup within the next two weeks. Complimentary Transportation will be provided to/from the race on Saturday, November 7. Celebrate the perfect runner's night out! 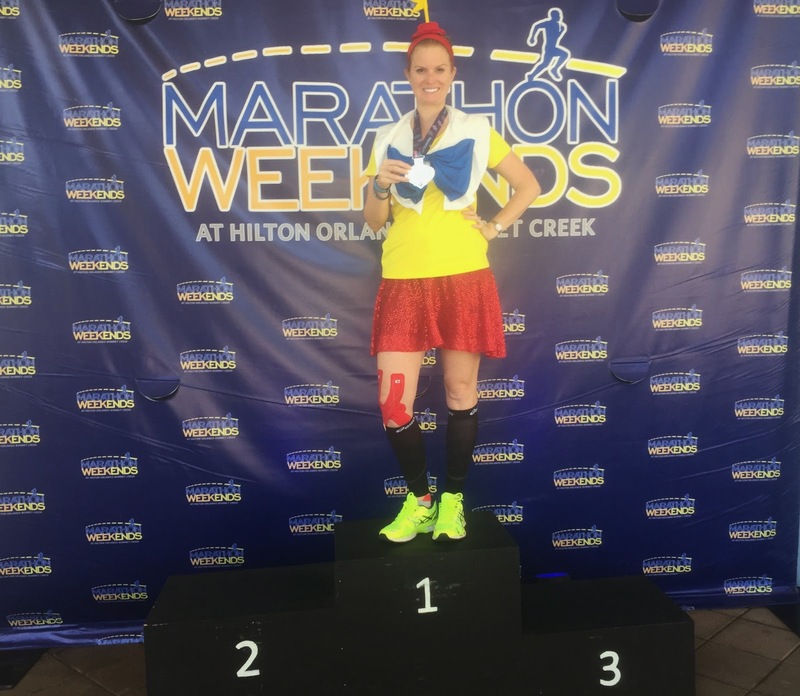 Here's your chance to run a nighttime half marathon in the most magical place on earth, the Walt Disney World® Resort. Your half marathon will take you through three breathtakingly beautiful, night-lit Disney theme parks with Disney entertainment on hand to delight and entertain you on your star-lit run. Then top your evening run off at our exclusive Finish Line Party at the Epcot® International Food & Wine Festival where you'll enjoy mouthwatering food and fabulous wines. If you are part of a running group who is participating in the next Disney race, Hilton Bonnet Creek has special group rates for 10 or more guest rooms per night. Please click here to fill out the form, and you will be contacted promptly to set up your exclusive group rate.